Can I convert low quality MP3 to high quality? One can convert file from one to another or from high quality to low quality but it is impossible to convert low quality to high quality. If you try to convert the file from low quality to high quality, some content will miss which remains a low quality file. Therefore, if you want to convert your low quality MP3, you can just opt to convert to other audio formats such as M4A, AIFF, APE and much more. In this article we will show you how to convert your MP3 audio without quality loss using the best MP3 audio converter. 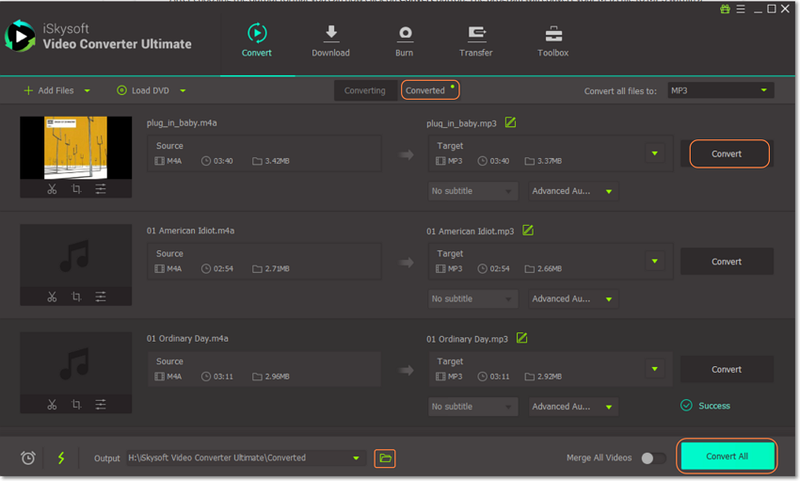 A software that can convert HD audios without quality loss is iSkysoft Video Converter Ultimate. It is a software that converts quality audios and HD videos. You can also perform conversion of standard video formats and audio formats. 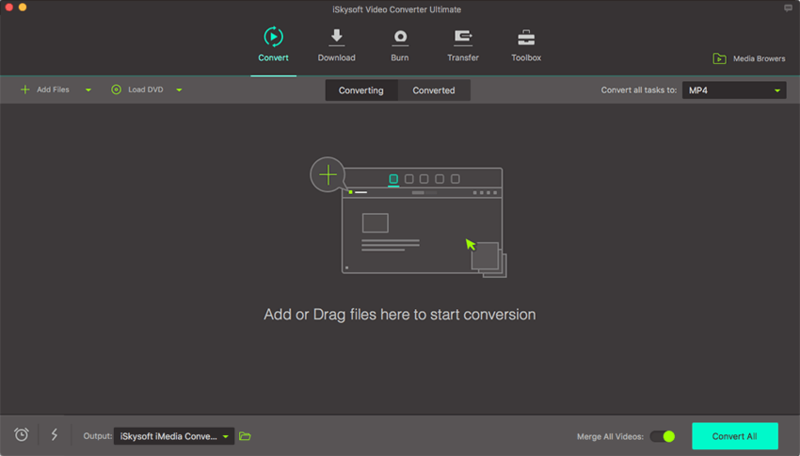 Moreover, iSkysoft Video Converter Ultimate enables you do converting tasks of DVD media, online formats and also DRM formats. This software is easy to use and its conversion speed is fast since it is built with NVIDIA hardware accelerator. Moreover, this software also allows you to perform batch conversion thus it is a time-saving software. It is a professional media converter that is integrated with other useful features that are highlighted below. Support 150+ audio and video formats including MP3, AAC, AC3, AU, WAV, M4R, HD MOV, HD TOD, HD WMV (VC-1), MTS (AVCHD, H.264), M2TS and others. Convert your audios or videos to device presets formats such as iPhone, iPads, iPods, Android Devices and Game Hardware like HTC Vive, Oculus Rift, PSP, XBOX and more. Download videos from sharing sites like Hulu, Periscope, YouTube, Blip, Break Metacafe, Vimeo, Facebook and 10,000 more. Inside DVD toolbox that supports burning of DVD media on DVD discs, edits DVD media and also converts the DVD media. Inbuilt video editor that comes with many editing options. It can crop, split, trim, rotate as basic editing options, etc. Before getting started, you can watch the video below to get a quick glimpse over how to convert MP3 to and from other audio formats. 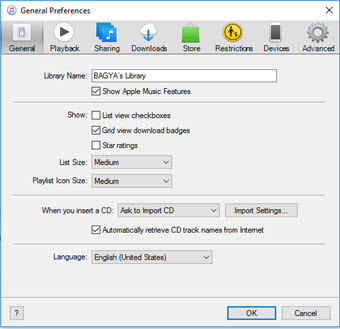 Begin by launching the MP3 converter on your computer. Next you need to upload the HD MP3 files to the program. The easiest way is to use the inbuilt browser or just drag and drop the files to the program. After uploading the MP3 file, you need to select the output format. Click on “Choose Output” and select the “Audio” option. You can then choose the preferred output format that is compatible with your device. After selecting the correct audio output format, you can then click on “Convert” button. This icon is situated at the bottom right of the program window. Within a few seconds the HD MP3 will be converted to the output format that you selected.